John’s parents had him on a grey October day in 1986. They had him when they were too young and too scared, and most importantly for John, they had him against their wishes. John’s parents had him, but he never had them. The orphanage that John called home until his 16th birthday had four large external walls and three caring matrons. It had barred windows, creaky ceiling fans and loose floor tiles. In the main hall where meals were served, a large clock tick-tick-tocked the days away. “What’s that expression? ‘Time heals all wounds’? Yeah, well it doesn’t,” he tells The Sunday Times of Malta. While he has mostly fond childhood memories of his time at the orphanage, feelings of abandonment and worthlessness from never knowing his parents have haunted his adult life. “It defined me. I was someone not even my mother wanted to know. I didn’t want to know me,” he says. When John first attempted suicide, adrenaline took over his senses but not the sour scraping of bone-on-bone. Reaching for a lighter, John’s arm breaks the beam of pale yellow sunlight through the pall of cigarette smoke in his Floriana bedroom. He explains how somewhere between his last leg leaving the table, and his body falling through the air, his resolve to take matters into his own hands had soon turned into regret. The courage of his convictions, he says, had crumbled before his electrical cable-noose had even gone stiff. It is the memory of that instant fear of death, he says, that remains with him today. John remembers the smells and sights of that day; the taste of iron that filled his mouth when he bit through his tongue, the red-hot heat that burst from his cheeks, and the fetid odour of the cold sweat that ran down his back. Certain he had snapped his neck, John said he sat on the floor and felt to see if bone had broken through skin – it had not. His short hanging had lasted all of five seconds, but the story that followed was one of repeated attempts and repeated regrets. 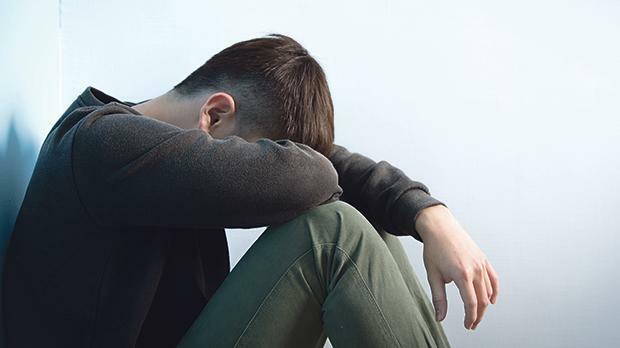 This was the start of an abusive relationship with self-harm, he says, that would soon compound his methadone and gambling problems – a behaviour of abuse that now extended to hurting himself to escape chronic depression and feelings of worthlessness. His leg pulsing anxiously, you could easily miss the needle bruising along his arm if another shaft of morning sunlight had not shot once more through the swirling cigarette smoke and landed just above his wrist. Survivors of attempted suicide in Malta are not called survivors, John says, “they are not called anything at all really”. “Because, they don’t exist. Maybe on a list in an office somewhere, for professors. But that’s it, people like me are nobodies,” he says. John said his short stay at hospital after his first suicide attempt saw him walk out of Mater Dei’s front door holding a lighter, some loose change and a two-page pamphlet on mental health awareness – a far cry from the support and comfort he so desperately needed. “I didn’t tell them [the medical staff] that it was a suicide attempt and we didn’t really talk about it,” he said. This is not a new problem. Last year Mental Health Commissioner John Cachia warned that men were slipping through the cracks. He sounded a bugle call to the authorities that the country’s focus had to be on increased awareness at an individual level, within families and across society, with early intervention and improved treatment options. Too many men, he warned, were seeking suicide as a way out. The Health Ministry say they have focused their efforts towards improving the provision of mental health at the State hospital. Patients presenting cases of self-harm are normally treated at Mater Dei but some others are also admitted to Mount Carmel Hospital. Some are followed by staff at psychiatric outpatients for some weeks. Meanwhile, an outreach team has been introduced to follow people with mental health issues at their own home. At the same time, a liaison psychiatry team takes care of Mater Dei inpatients. A specialised nurse leads a team of six psychiatric nurses, two social workers, three nursing aides, three care workers, an assistant psychologist and a clerk at Mater Dei. “I don’t know who needs to hear my story, maybe no one,” John said. Since 2010, Malta’s Crisis Resolution Centre – Malta’s only dedicated institution to suicide situations, has received between 15 and 20 crisis calls every week – many of these are linked to suicide or self-harm. Seven years of data collected by the centre shows that on average, around 30 people take their own lives every year. The police have registered more than 200 suicide deaths between 2010 and last year, with the vast majority being men.